Welcome to Snow Guide Korea! Wondering what the snow’s like in Korea, or which local hill to hit while you have a free day in Seoul (and how to actually get there)? Inspired by the 2018 Pyeongchang Olympics to try skiing in Korea but not sure which resorts are best? Well, read on and find out! Although it might not be the first place that springs to mind when you think about skiing, Korea is a mountainous country with really cold winters so it should come as no surprise that it has a number of ski resorts. With large-scale investment into these resorts in recent decades, Korea’s now finally gaining international recognition as a winter sports destination, especially since hosting the 2018 Winter Olympics in Pyeongchang (South Korea is actually the most successful Asian nation at the Winter Olympics, though China will be looking to take top spot at home in 2022). If you’re interested in checking out Korea’s ski scene but aren’t sure where to go or how to get there, Snow Guide Korea’s got you covered. Snow Guide Korea is completely independent and in no way affiliated with any tourism boards or government bodies, etc. This website isn’t here to promote Korea as a ski destination or give you an unrealistic impression of the country’s ski terrain and snow conditions; what you’ll find here is no BS reviews & descriptions of Korea’s ski resorts and conditions, along with up to date access information for every resort and the latest news on the Korean ski industry. Tiny to small-medium sized resorts with mostly gentle groomers, no off-piste, and not much challenging terrain; low altitudes, with nothing above the tree line. Mostly artificial snow except at the highest resorts, but even there don’t expect powder unless you get very lucky. Absolutely top class lift infrastructure and base area facilities, even at the smaller hills. Convenience: with a dozen resorts in easy reach and some under an hour away, Seoul has the best ski access anywhere in the world for a city of that size. Some resorts are open almost round the clock! Again, you need to set your expectations accordingly as most of Korea’s hills are largely reliant on snowmaking. Don’t fly to Korea in search of powder days! 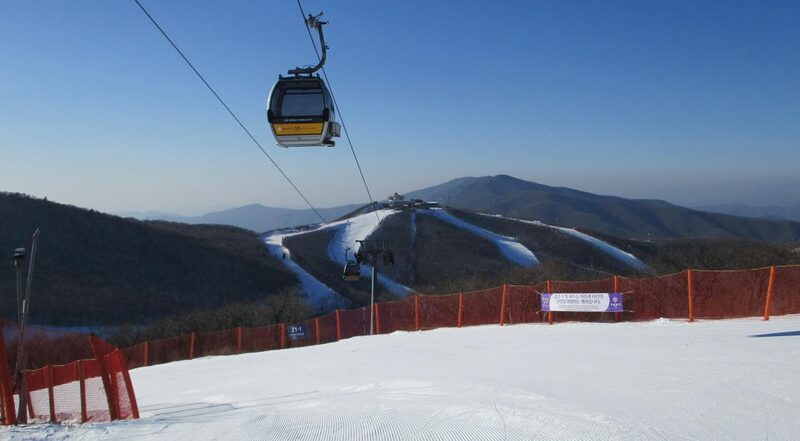 The Seoul area skiing is almost entirely on artificial snow, but as you move east into the higher mountains the natural snowfall improves; the highest resorts like High1 and Yongpyong do receive a workable amount of snow, but even then it’s not a huge amount. If you’re used to thigh-deep powder through the trees in Japan, you can forget about finding the same in Korea – there simply isn’t enough snow cover for going off-piste. As noted above, there isn’t enough snow for any off-piste or backcountry riding to be possible in Korea – and in fact, the resorts do an impressively thorough job of completely fencing off the sides of every single piste. Even if a massive quantity of powder suddenly fell, you literally wouldn’t be able to duck the ropes because you’d have to climb over a 2-metre high orange fence instead. Freestyle is very well-catered for at a couple of hills, decent at a handful more, and an afterthought or absent at the rest – the two standouts in this regard are Phoenix Park and Welli Hilli Park. 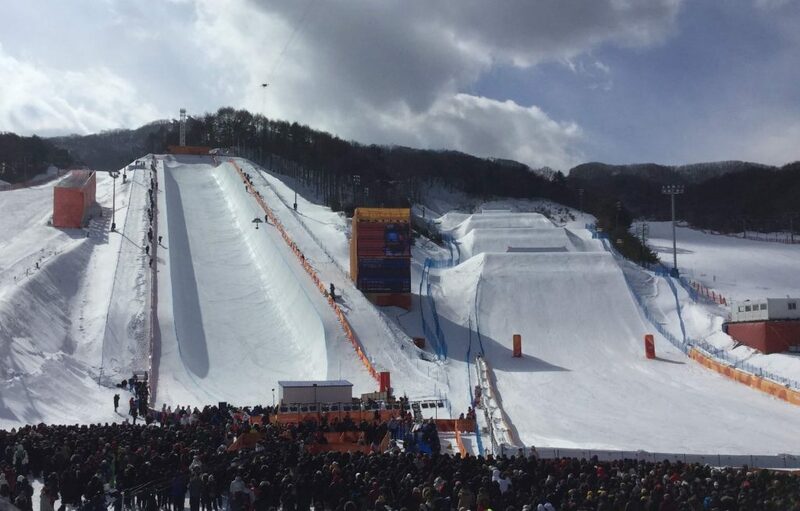 So, forget off-piste; Korea is all about groomers, and freestyle if you go to the right hills. As you’re stuck with groomers, the gradients and piste design of each resort play a big part in how satisfying they are. Nowhere in Korea do you ski above the treeline (the altitudes aren’t high enough, with most of the action taking place below 1,000m), so the pistes follow whatever route was cut through the forest. 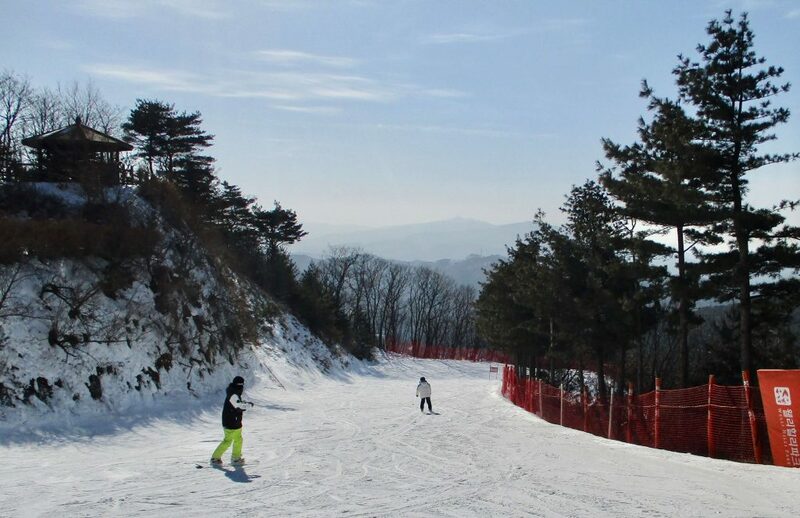 The small resort of Elysian Gangchon is a good example of well-designed piste layout making the most of the limited terrain available, while many resorts seem to have simply stuck chairlifts up and cut a bunch of trees down without giving it so much thought. 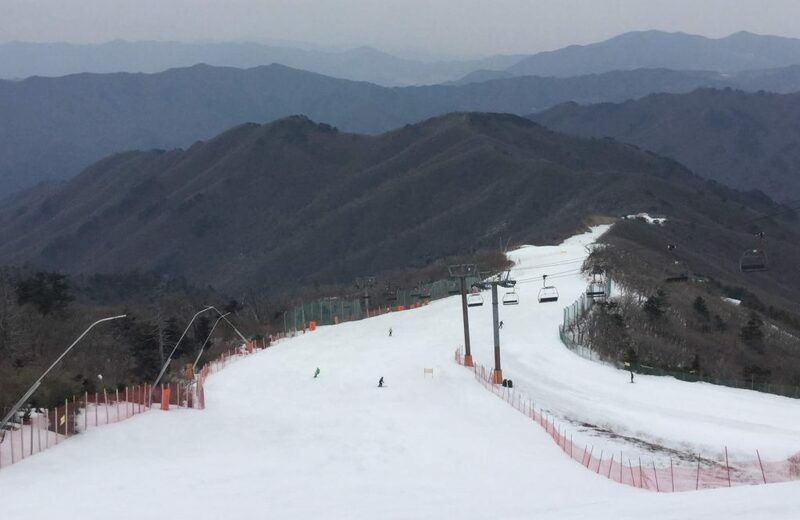 There isn’t much challenging terrain on offer and the gentle gradients mean most of Korea’s resorts are better for learners and intermediates (in fact, with the terrain, plus the excellent base facilities and lift infrastructure, Korea’s a great place to learn). Advanced riders need to hit the bigger resorts High1, Yongpyong, or Muju Deogyusan for some more satisfying terrain, or focus on riding park & pipe instead. This is one department in which Korean ski resorts are pretty outstanding. The oldest resort in Korea was built in the 70s, but most were built in the last decade or two and feature almost universally impressive lift infrastructure. 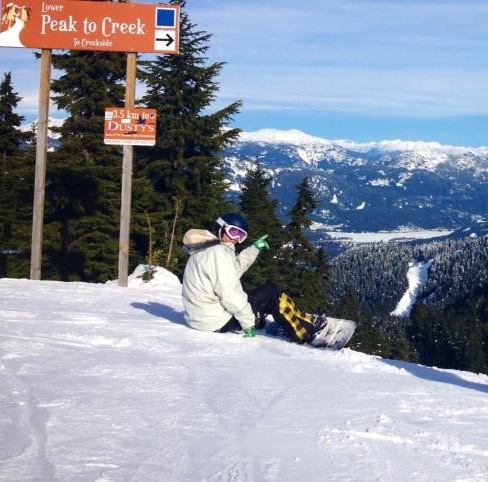 I’ve personally ridden most of the chairlifts in the country (and seen the rest), and the vast majority are high-speed detachable 4 to 8 seat chairs, with only a few 2 or 3 seat fixed-grip chairs here and there at the older hills. Even on tiny hills you’ll find at least three lifts, and a number of resorts also have gondolas despite being modest in stature – it may seem gratuitous, but they get seriously crowded at busy times and the uplift capacity is essential to keep the lift lines from getting ridiculous. Speaking of lift lines, it’s best to avoid skiing on weekends and holidays, especially at the Seoul area hills where the crowds can get pretty bad; the impressive uplift capacities do keep things moving quite well, but the slopes are a total shitshow! If you stick to midweek skiing though, you’ll have plenty of room and will barely waste any time in line at all – if you’re used to Easter lift lines in the Alps, the midweek lines in Korea will barely register. While they’re not usually very pretty, these massive resort buildings mean that even small hills have really impressive base area facilities with plenty of food options and a range of accommodation available. Unlike many resorts in Europe and North America (think of the miserable teenagers manning the lifts at Mt Baker, or the portly old Frenchman in Morzine laughing at flailing beginners instead of helping them), being genuinely friendly seems to be part of the job description for lifties in Korea; instead of slyly watching rubbish on their phones or building snowmen, they spend their shift waving & smiling, and greeting you as you load and unload. It’s a nice touch (which will sound familiar if you’ve ridden in Japan). Sufficient English is spoken by staff at ticket counters, and if you have more involved questions to ask there’s usually an information desk with more fluent English speakers available. And that’s another thing to be aware of – snow grooming breaks are standard at all resorts, splitting the operating hours into daytime and nighttime; in most cases it’s a 90-minute or 2-hour break starting between 4 and 5pm (the exception is Konjiam which keeps it to an hour). 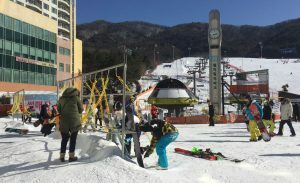 The Korean ski season starts quite early, with most resorts opening their doors in November as soon as the temperatures have dropped low enough to crank up the snowmaking; however it also ends surprisingly early as temperatures climb in spring, taking snowmaking out of the picture and quickly making the lower altitude snow unrideable. Most resorts are finished by early March, with only a handful of the biggest & highest resorts able to (just about) continue to late March. 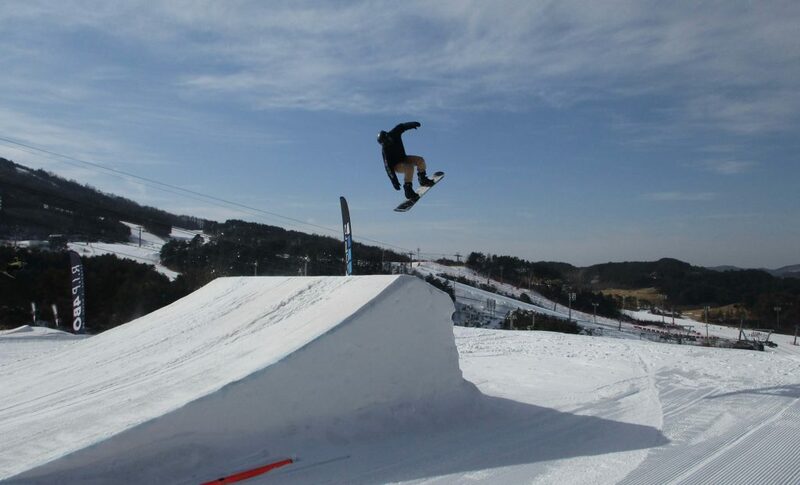 Those that do go on that ‘late’ get very mushy, and the terrain parks and pipes mostly get closed off; no sun-baked spring park sessions in Korea, alas. On the plus side, you can get some great deals at the ticket window in the closing weeks of the season – for example, in March 2017 this author scored a 4-hour pass at Vivaldi Park for 25,000 won ($25 US, and the shuttle bus to get there is free) and a 4-hour pass at Phoenix Park for 28,000 won. Among the world’s largest cities, Seoul surely has the most convenient ski slope access there is; you can head up the hill at lunchtime and be back in time for tea, head up after work for a few hours, or go skiing until 4 in the morning if you feel like it! 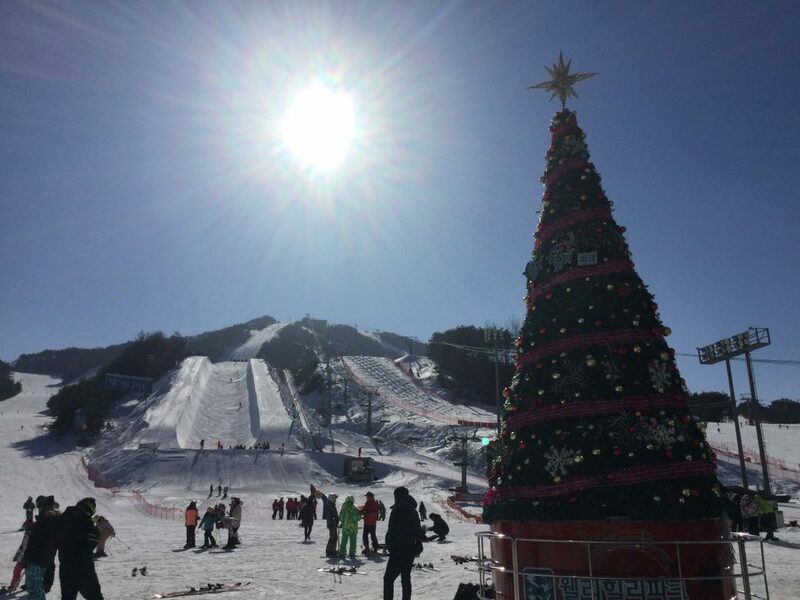 A dozen ski resorts are within a few hours’ travel time including the more impressive hills in Gangwon-do province, with the closest hill (Konjiam) only a 40-minute bus ride away. Airguns: if you’ve been riding in Japan, you’ll be used to seeing equipment cleaning stands with brushes provided to get rid of all the snow from your gear once you’re done. Korean resorts take this a step further, instead providing pneumatic air guns to literally blast the snow out of the cracks. It makes a hell of a racket, but it’s effective; no puddles of water in the cafeterias here. Blast the snow off your gear! Military aircraft: most of the time when you’re in Seoul it’s easy to forget about all that North Korean artillery pointing at you from the other side of the DMZ. But go skiing in the Seoul area and you’ll see regular reminders of the situation in the form of military helicopters and C-130s passing overhead, particularly at the Gyeonggi-do resorts of Konjiam, Jisan Forest, and Yangji Pine, which are located in the vicinity of an airbase just south of the city. It’s pretty surreal at times.